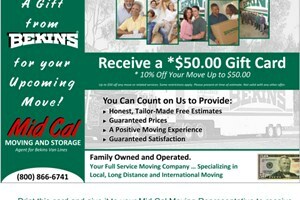 Mid Cal Moving & Storage is a premier Tracy moving company. Over the years we've been in business, we've helped execute countless local and interstate moves, helping both commercial and residential clients transition safely and efficiently. Unlike other moving companies in Tracy, Mid Cal is a BBB-accredited business and a ProMover-certified member of the American Moving & Storage Association. Furthermore, as agents for Bekins Van Lines, an industry-leading carrier, we have the resources and support to move your family and/or business around the world to over 100 countries. Call us today for more details about our comprehensive services.